Concentrated formula is ideal for sanitizing and disinfecting washrooms, shower stalls, toilets, food preparation areas and virtually all nonporous surfaces. Effective against E. coli, HIV-1 AIDS virus, salmonella, staph, TB and hepatitis A. Complies with OSHA Bloodborne Pathogens Standard. Meets FDA guidelines for sanitizing food-contact surfaces. Concentrated formula is ideal for sanitizing and disinfecting washrooms, shower stalls, toilets, food preparation areas and virtually all nonporous surfaces. Effective against E. coli, HIV-1 AIDS virus, salmonella, staph, TB and hepatitis A. Complies with OSHA Bloodborne Pathogens Standard. Meets FDA guidelines for sanitizing food-contact surfaces. A great all-around cleaner for a wide range of applications. Includes three bottles. Has kill C. Difficile EPA registration. 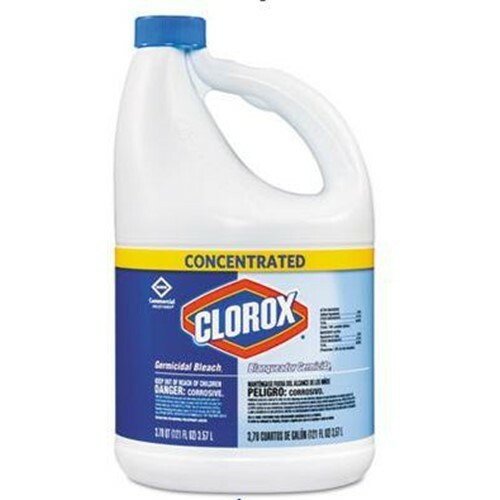 A great all-around cleaner for a wide range of applications. Includes three bottles.